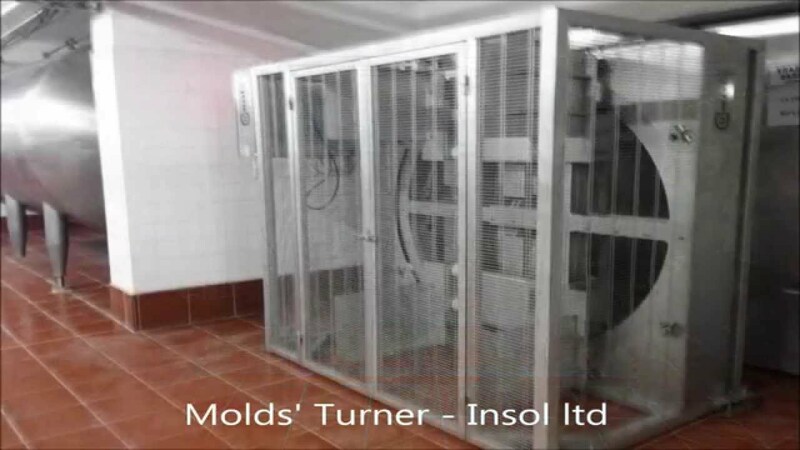 The line is consisted by: Rectangular cheese vats, capacity 1000 Lt Agitation system for the stirring of the cheese vat Evacuation conveyor for curd from cheese vat Conveyor for drainage molds Stackers for the configuration of stack molds Ground type turner De-stacker of stack molds De-molder to remove the cheese bock outside the mold Washing molds machine. 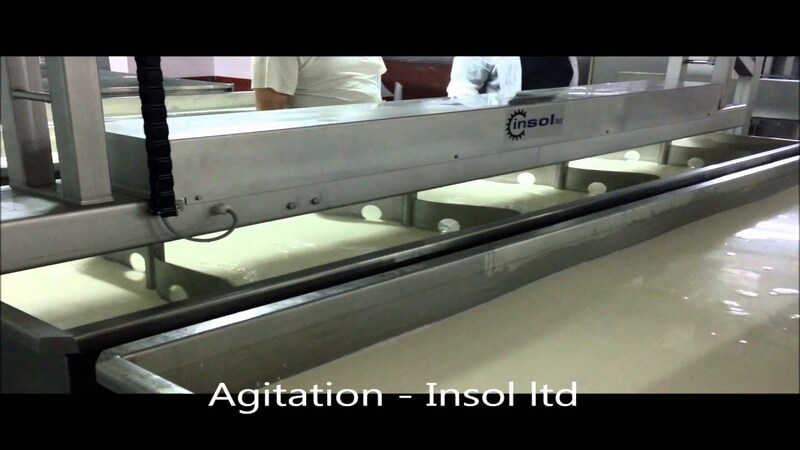 The agitation system is the proposed solution that assures the high quality of the produced cheese, removing the limitations from the manual agitation and standardizing the quality of the produced cheese. The turning of the mold’s stack is a very important process during the draining and forming procedure of the cheese block. The shape and structure of the blocks are defining the final product. 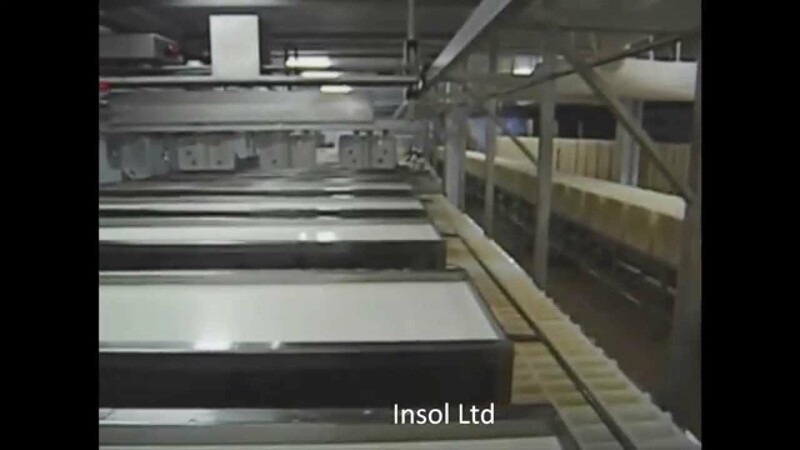 Avoiding the phenomenon of "wedge" at the block is what Insol ltd can confirm and obtain by the ground molds turner. The time and manner of rotation are the main reasons of success. First stage is the prewash with natural water under pressure, and various spraying angles. The second washing step is washing the mold with a chemical solution. The third step is washing (rinsing) the mold by the chemical solution with natural water. The fourth and final step of washing is the final rinsing with natural water. 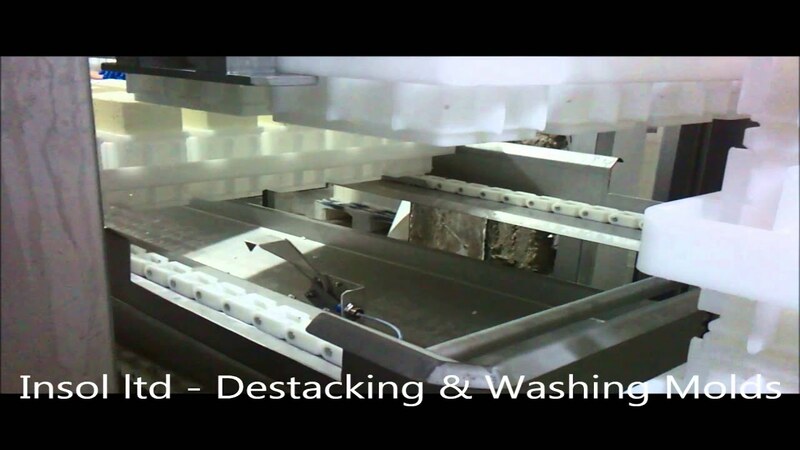 And from there the mold is automatically or manually removed from the single output of the washing machine.